You sent them to college with a car and they are grateful. However, although it will make a weekly Publix run easier, no one really thought about the fact that parking at UF can be pretty inconvenient and tends to be a problem every year. There are just not enough spots for as many students who drive to campus. Where do they expect students to park? Well, student parking is based on whether a student lives on or off campus and the number of credit hours earned. Students who have completed fewer than 50 credit hours and live on campus can park in Red 3 spots; those with more than 50 hours and living on campus, can park in Red 1 spots. Driving a scooter or a motorcycle? You will need a decal for that too. You just need to show your license plate number and student ID number. You may only purchase an annual or semester decal. And purple decal holders have designated areas as well. Undergraduate students living off-campus may park may also park in the park and ride lots. Graduate and professional students living off-campus get to park in the green spots. Live in Family housing? There is a different decal and parking color for that too. (btw it’s brown) Don’t have a decal? Then you can certainly pay a daily fee to park at the Reitz Union/Welcome Center Garage or try to find a metered space around campus. Warning: There are only 159 spaces available. So where exactly are these colored parking lots? Here you can download PDF of the official map. Decal restrictions are typically in effect Monday through Friday from 7:30 am to 4:30 pm and then restrictions are typically lifted… unless there is an event, lot closing. You can check the Transportation and Parking website (TAPS) for the latest campus parking impact information. Effective August 16, 2018, students who live off campus will not be allowed to park their vehicles overnight from 3 am to 5 am in any of the “Any Decal” parking lots. During Winter break (December 14 – January 4), parking is lifted on campus for any decal, orange, green, red 1 and all red as well as motorcycle/scooter parking. Students may park in these lots while they are home for break. This includes the Commuter lot and parts of Norman garage. They come home late and just want to park near their dorm, so they park in the wrong decal color spot and promise themselves that they will get up early and move the car before 7 am. In theory, it is a great idea, because they have so much to do the next day and they can take a nap later. Their intentions are good, but they hit snooze too many times and by the time they get to move the car, the ticket is flapping in the breeze. They are rushing to campus from their apartment (or sometimes from one side of campus to the other) and although they planned to leave early that morning, their blow dryer wasn’t cooperating and now they must rush. When they get to campus, there are no spots available near their class and if they go to the other lots they will be really late, so maybe just this one time they won’t get ticketed. Besides, which is worse, walking in late again or a parking ticket? They loan their roommate/sorority sister/fraternity brother/friend from down the hall, their car and because the said friend doesn’t own a car, they are unaware of the parking situation on campus and park it someplace they believe is safe, but they are unknowingly wrong. Your student won’t realize this until the next time they go to use their car and by then there are five parking tickets; one for each day the car was parked in an unauthorized spot. Note: Do not park your car in reverse in the parking garage unless there is no sign saying it is not prohibited (most signs prohibit this)- you are more likely to get a ticket! And trust us when we say do not park over the line or curb- it is prohibited and you will get a ticket (it was one of the countless, and I mean countless, tickets my daughter received). All UF students with cars need to register their car with UF’s Parking Services. Passes are $80 for a semester and $160 for the full academic year, including summer. Parking passes for the new school year will become available August 6th, 2018. To get a parking permit, students will need their license plate number of the vehicle registered or titled to the guardian, his or her guardian, vehicle registration and UF identification card. The decal is a sticker, but don’t lose it or you will have to pay $25 to replace and fill out an affidavit. Get a ticket? Students can appeal or pay for tickets on the UF Parking Services website. They can also find information on temporarily closed lots and car charging stations. Fellow Parents, when you visit there are options and rules regarding parking for us too. Visitors may find parking at the UF Visitor Welcome Center garage, located just south of the Reitz Union at the corner of Museum Road and Reitz Union Drive. The garage is an unrestricted pay facility offering short-term and all-day parking options. The hours of operation are Monday through Friday, 7:30 a.m. – 4:30 p.m. The standard daily rate is $6.00 but there are only 159 spaces available. 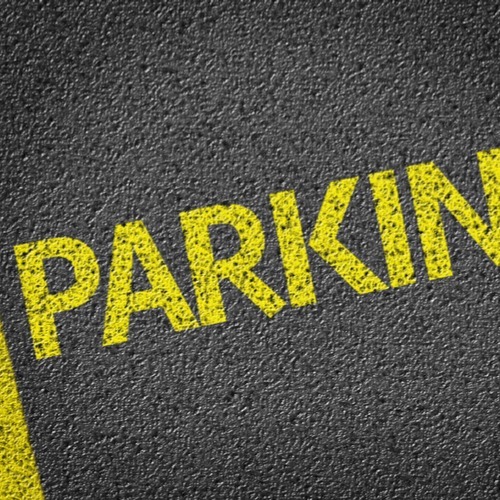 Short Term Parking: 1 or 2-hour timed parking spaces are located in the same place. The cost is $4.00 for the mid-term fee or $2.00 for a 45-minute limit. Event parking differs a bit too. Gator Football Game day parking has its own rules as does Basketball game day parking. If we have thoroughly confused you, we apologize, but we did start by saying parking tends to be a problem. Our advice; get a bicycle.